Don’t feel like doing that whole moving thing? Contact Reliable Movers! We provide local and long distance moving services for both residential and commercial customers throughout the state of Colorado. Trust us to assist with all elements of the process by also providing packing and storage services. 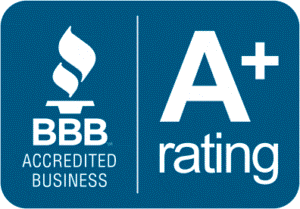 Our movers have an A+ rating with the Better Business Bureau and are conveniently based right in the heart of Denver. You can count on us to provide you with all-around dependable moving services, custom fit to meet your needs. If you’re ready to get started with our family owned and operated moving company, call us any time at 303-227-3141. In addition, Reliable Movers of Denver, CO specializes in moving services for the elderly. Trust our team to make any move as hassle-free as possible for those needing to relocate to a new residence, retirement community or assisted living facility. Thank you for visiting our website! Please fill out the following form to send us a message about the details of your move. Please click on the “SUBMIT” button when you are ready to send your information. You may use this form to request a competitive estimate for our moving services. We look forward to hearing from you! Carlos, thank you for ensuring me that we are in the right hands. Carols & Dominic were outstanding, assured me of the professionalism and reviewed all pieces going in truck and out of truck. These guys were fantastic and I would hire your company and these gentleman again. I hired Reliable to move my daughter at the end of August, 2014 and the experience was great. They were fast and efficient and we were very happy with the service from start to finish. Based on my experience, I will definitely call them when I need movers again and I will recommend them to others.